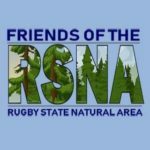 Every third Saturday of the month, the Friends of the Rugby State Natural area hosts a guided hike. Often, a representative from Tennessee State Parks joins the fun and offers insight into the wildlife and habitats of the area. The Rugby State Natural Area boasts beautiful slopes and loops underneath towering umbrella magnolia and hemlock. With melting frosts and heavy rains come delicate waterfalls over the sandstone overhangs. Don’t let the cold get you down, and come warm up with a walk through the woods. We meet at 10:00 AM in front of the Historic Rugby Visitor Centre.